new workshops will be added in the fall 2019! Learn how to use brush pens for beginners as we explore Modern Calligraphy and modern lettering with the ease of a felt tip pen! For those who want to explore Modern Calligraphy and lettering, and are looking to letter on various papers and styles, this is the workshop for you! Perhaps you want to create your own greeting cards, or your goal to letter name cards for your upcoming wedding or special event. Small Brushes provide the flexibility and ease to create beautiful calligraphy lettering. 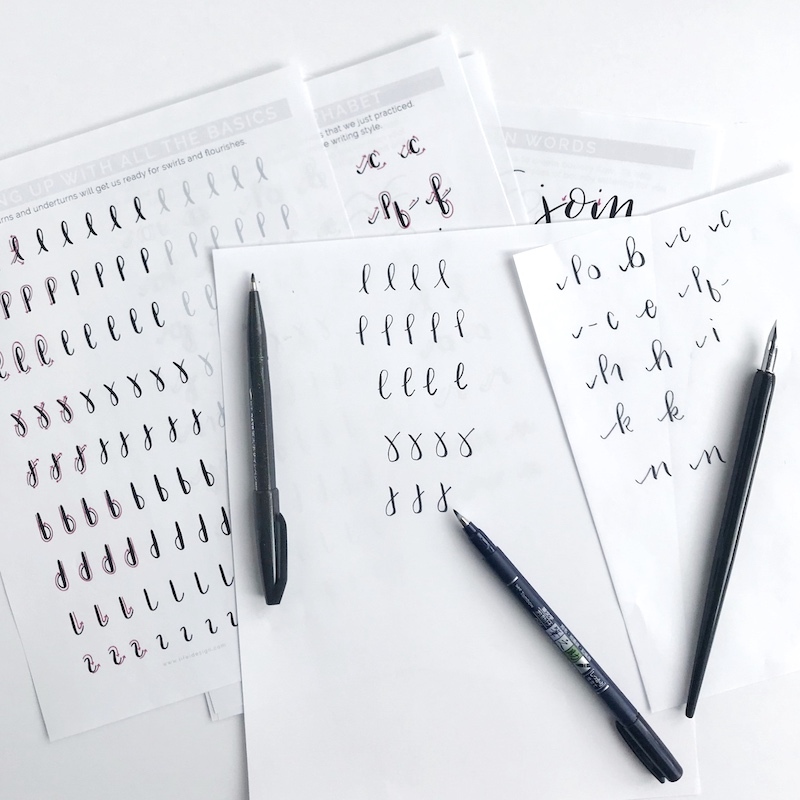 Learn all the necessary strokes to form the lower case alphabet and get personal, one-on-one attention from a professional calligrapher and designer, Nicki Traikos of life i design. This is a great introduction to calligraphy for beginners and one of the easier ways to learn step-by-step. Each Beginner SMALL BRUSH PEN Modern Calligraphy workshop consists of 2 hours of instruction with lots of time for one-one-one attention so that you will learn everything you need to control the pen and form the necessary strokes to write the lower case alphabet. Each attendee will receive a kit to use during the workshop and to take home to continue practicing with! Kit Includes; 2 small brush pens, a workbook & tracing paper pad, a reusable tote to carry your new kit in and a BONUS, a personal link to access Nicki’s online Introduction to Modern Calligraphy class! !